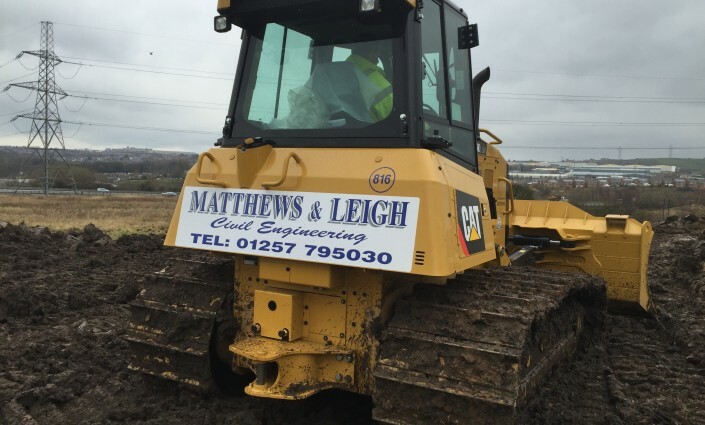 2016 has already seen a big investment in Plant and Machinery for Matthews and Leigh to meet the ever-growing needs of their clients. Already this year the fleet has welcomed 6 x Kubota U55 Excavators, a Hitachi ZX210 Excavator and the Caterpillar D6K Dozer (inset – the MD’s pride and joy!). These investments will keep the company on top of their work commitment and contribute to expansion going forward.